Two more presentations have been added to the 2017 National Road Safety Conference Fringe agenda, focussing on driving for work and young driver education. Paul Leatherbarrow, Wirral Council, will present ‘Mind Your Business – Road Safety at Work’ while Jami Blythe, Northumbria Police, will examine ‘the role of empathy through storytelling in young driver road safety education’. The Fringe programme will run alongside the main agenda and the latest additions mean there are now seven confirmed presentations. Paul Leatherbarrow has worked within road safety for more than 20 years, across a number of local authorities. Prior to this, he was a qualified and practicing ADI, driver trainer and professional driver (including HGVs and buses). 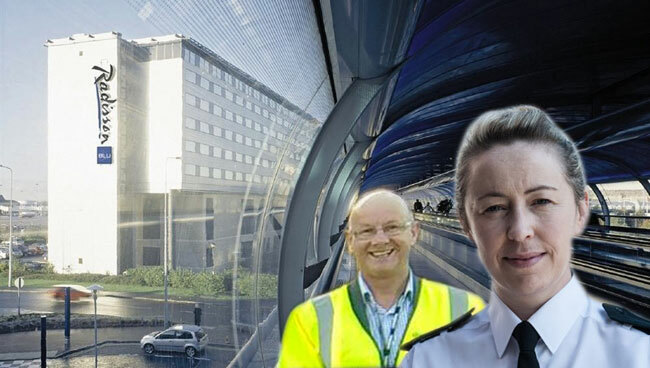 The skills and knowledge Paul gained during this time have been important in the development of the ‘Mind Your Business – Road Safety at Work’ (MYB) project within Wirral Council, where Paul is currently road safety officer. MYB is the only local authority project in the north west of England to offer ‘a full and comprehensive programme’ when it come to road safety at work. Paul will share with delegates the successful methods used to engage with businesses and illustrate the importance of a flexible approach when working with employers. The presentation will also cover the ‘trials and errors’ undertaken as part of the project. Jami Blythe has been a police officer with Northumbria Police for 19 years and a motor patrols officer for 13 years. Presently in the third year of a professional doctorate (DProf), Jami works as the lead education officer with Northumbria Police’s Operation Dragoon. Her chosen area of research is the role of empathy through storytelling in young driver road safety education. Jami’s presentation will explores the role and value of empathy through storytelling in students’ learning, and their preferential engagement with physical speakers on the stage (as opposed to on film) and the use of real stories over non-fiction.